Battery A: Captain David C. Stone’s battery was assigned to First Division, Fourteenth Corps at the start of the new year. Later in the spring, the battery was detached, being unassigned and serving in the garrison of Murfreesboro, Tennessee. 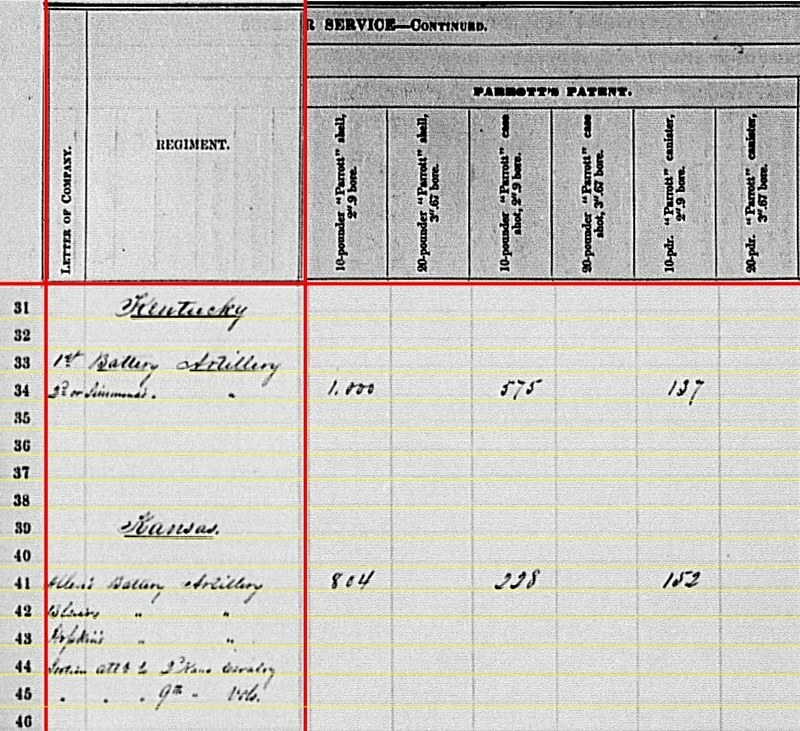 In May, 1st Lieutenant Theodore S. Thomasson was promoted to Captain and appointed commander of the “1st Kentucky Battery”, still listed by some sources as Stone’s Battery. So this is likely the battery indicated as “1st Battery” on the summary. And for simplicity, I’ll refer to them as 1st Kentucky through the remainder of this post. No ordnance listed for this battery in the reporting period. Battery B: This was Captain John M. Hewett’s battery. Hewett was captured in July 1862 and did not return to the battery until March 1863. Lieutenant Alban A. Ellsworth commanded in his absence. The battery was assigned to Second division, Fourteenth Corps. And this battery is often cited as 2nd Battery Kentucky Light Artillery. However, the listing in the summary is clearly referencing a different battery. I submit Hewett’s Battery escaped the clerk’s tally. Battery C: Not organized until May 1863. So this battery should not concern us for first quarter, 1863. Battery D: Never completed organization, so we need not worry about this battery. Battery E: Not organized until October-December 1863. Simmond’s Battery: Captain Seth J. Simmonds commanded a battery formed out of Company E, 1st Kentucky Infantry. The battery served at Gauley Bridge and Kanawha Falls, West Virginia through the winter and early spring of 1863. Under reorganizations, the battery became part of 3rd Division, Eighth Corps. Given the place location referenced, the clerks referenced Simmond’s as the 2nd Kentucky Battery. I will use Simmond’s here for clarity. The battery reported six 10-pdr Parrotts. As you can see, the lax administrative details lead to lengthy explanations 150 years later. Allen’s Battery: I think this references Captain Norman Allen and the 1st Kansas Independent Battery. At the first of the year, Allen’s was part of the garrison in Springfield, Missouri. Later in the spring the battery moved to Fort Scott. So the reporting location of Lawrence, Kansas is problematic. The battery reported six 10-pdr Parrotts. Blair’s Battery: Fort Scott, Kansas. Four 6-pdr field guns and two 12-pdr field howitzers. 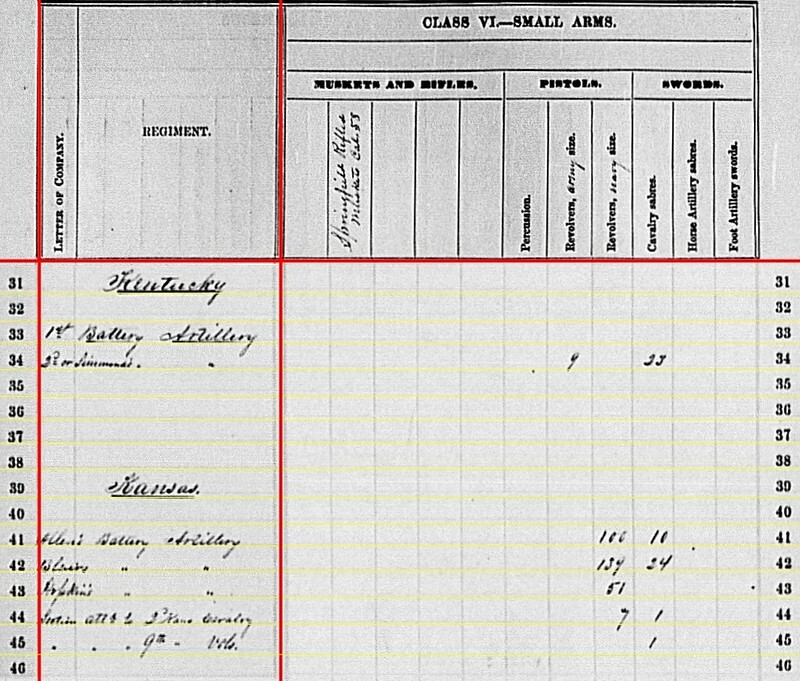 This should be Lieutenant Edward A. Smith’s 2nd Battery Kansas Artillery. The name references Captain Charles W. Blair, the battery’s first commander. Hopkins’ Battery: Captain Henry Hopkins’ 3rd Kansas Battery. The battery had three 6-pdr field guns and one 12-pdr field howitzer. At the start of the year, the battery was in the Department of Northwest Arkansas, at Van Buren on the Arkansas River. Later in the spring the battery moved to Fort Gibson, in the Cherokee Nation (and that post was briefly named Fort Blunt, as the ledger indicates). 2nd Cavalry: A section in the regiment reported two 12-pdr mountain howitzers. The section was with the regiment at Springfield, Missouri. Lieutenant Elias S. Stover is listed as the section commander. 9th Cavalry: A section under Lieutenant Henry H. Opedyke, reporting two 12-pdr mountain howitzers. The section’s reported location was Trading Post, Kansas on the Marais des Cygnes River. As you can see, it is possible to “square” the summary entries for Kansas with units listed from other sources. For clarity, for this post I’ll use the same designations indicated on the summary for the Kansas batteries instead of the (perhaps more proper) numerical designations. 1st Battery: Though they reported no guns, they had 28 spherical case for 6-pdr field guns. Go figure. 2nd Kansas Cavalry: 55 case and 8 canister for 12-pdr mountain howitzers. 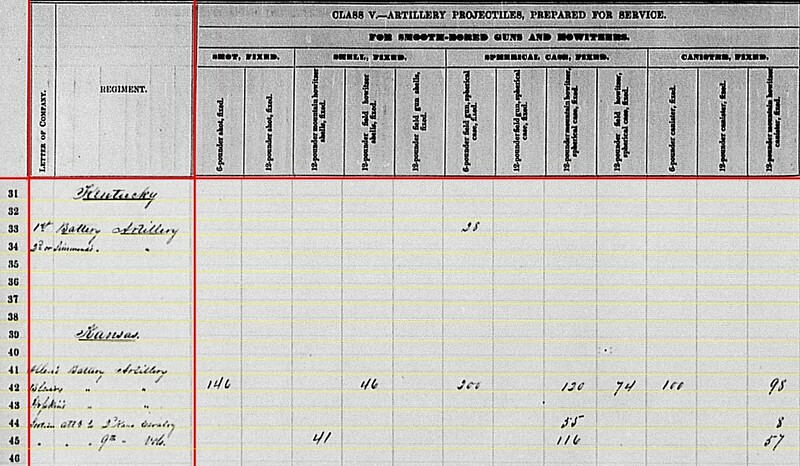 9th Kansas Cavalry: 41 shell, 116 case, and 57 canister for 12-pdr mountain howitzers. Simmond’s Battery: 1000 shell, 575 case, and 137 canister for 10-pdr Parrott. Allen’s Battery: 804 shell, 228 case, and 152 canister for 10-pdr Parrott. Simmond’s Battery: Nine Army revolvers and thirty-three cavalry sabers. Allen’s Battery: 100 Navy revolvers and ten cavalry sabers. Blair’s Battery: 134 Navy revolvers and twenty-four cavalry sabers. Hopkins’ Battery: Fifty-one Navy revolvers. 2nd Kansas Cavalry section: Seven Navy revolvers and one cavalry saber. 9th Kansas Cavalry section: One cavalry saber. 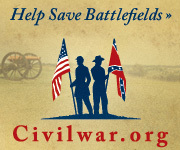 Yes, I’d expect to see more small arms reported from the sections in the cavalry. But the large number of pistols in the other Kansas artillery formations makes up for that, somewhat. The Kentucky gunners defending Gauley Bridge had ample Parrott shells around, and were without need of many small arms.